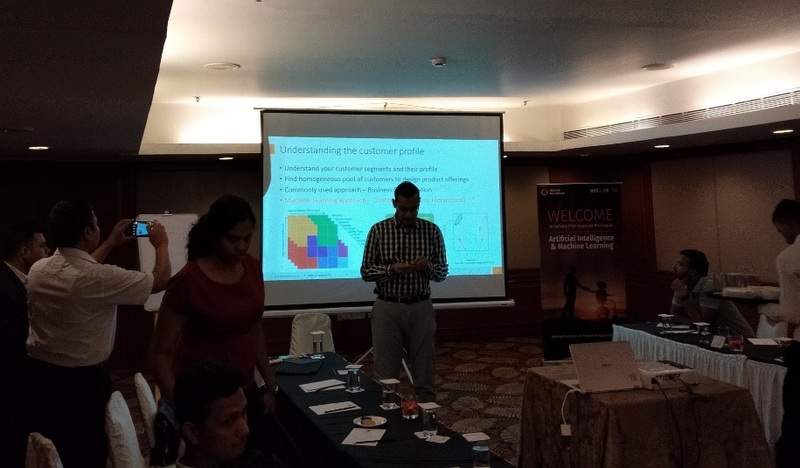 Netcore solutions conducted a session for enterprises that redefine Digital Marketing, a corporate training programme on Artificial Intelligence (AI) and Machine Learning (ML) for Marketers in Bangalore, India, to get an edge in this new age of technology. If you are interested to know more detail about the session and its detail then find it here. Netcore, aimed at educating markets about the benefits of deploying these technologies, the initiative will cover the essentials on how AI-enabled Marketing can enhance customer Experience, the 4 W’s of AI and beginning the AI journey to increase ROI on your campaigns. We got to learn, what is AI (Artificial Intelligence) ML (Machine Learning) and DL (Deep Learning) beside other related subjects with stats and analytics explanation beside Q&A etc. Marketers today have moved from a 'batch & blast' approach to a behavior - based approach in their marketing automation strategy. By deploying analytics tools, marketers are able to set smart triggers based on various criteria such as RFM (Recency, Frequency, & Monetary analysis) combined with demographic & category affinity. With the advent of Artificial Intelligence, these professionals can derive greater value from their strategies with hyper-personalize campaigns aimed at creating 1:1 customer experiences. These technologies also enable a multi-fold increase in the Customer Life Cycle as AI allows one to harness data, and analyze it to generate insights in response to unpredictable situations, and that too in real time. Commenting on the benefits of deploying AI and ML to marketing campaign, Netcore spokesperson said, “Successful brands today have good offerings for the customer backed with a strong technologies and solutions including cloud services. However, a unified view of the customer is possible with Artificial Intelligence and Machine Learning who are key differentiators in a highly competitive market scenario where brands must continuously and innovatively engage with the customer. The workshop for marketers aimed to demystify several benefits and deployment of new age technologies like AI, ML and deep learning for their marketing campaigns”. Netcore serves a strong base of 3000+ enterprises across industry verticals, like Jet Airways, Thomas Cook, GoAir, Clear Trip, HDFC, Kotak, Axis Bank, ICICI Bank, UTI, Facebook, Reliance, Vodafone, Godrej , ITC, OLA, Pfizer, OLX along with International brands Seek Asia, Tokopedia, Blibli, Standard Chartered, FCMB, GT Bank and many more. Netcore, with its’ innovative marketing technology, delivers 6+ Billion emails & 3+ Billion SMSes a month, creating 10+ Billion Customer Connects monthly and handles 30+ Billion Events a month. Netcore, a global company, headquartered in Mumbai, India having offices in SEA, USA, MEA with an employee base of 500+ spread across 10 strategic locations.